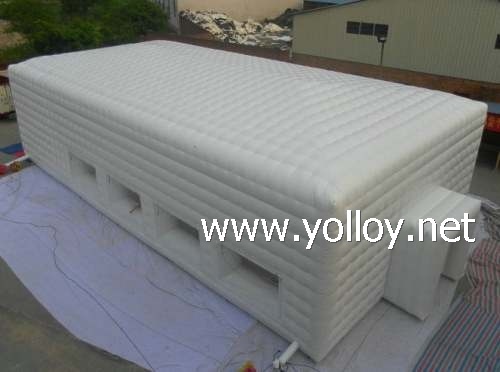 Huge inflatable tent is widely used as a wedding,party and any other event tent. It is double layer structure,the thickness of wall is about 0.5m-0.7m. The advantage of inflatable tent is easy to set up and deflate.You just need connect the and air tube of tent ,it will stand by itself.Just need about 10 minutes. Here the drawing for your reference. Customized can be acceptable.If any special requirement about size,color and logo，pls feel free to let me know.